What sort of statement are you making with your floor? It might seem harder to create the exact look you want for heavy-traffic areas or flooring that sees a lot of wear and tear. The truth is: it isn’t. The Floor Trader of Tacoma is a flooring store that offers you a wide array of options so you can always get the right floor for your space and style. One of the best floor coverings we have available to homeowners looking to make a statement in their home or business is our luxury vinyl plank flooring in Tacoma, WA. This fantastic flooring option gives you the look and feel of real wood while ensuring you have the durability of vinyl flooring. What does that mean? It means that you can finally put “wood” floors in areas that might not work well with proper hardwood flooring. Specially engineered for everyday use, vinyl plank flooring is what happens when technology advances to the point of being able to deliver you everything you want from a floor covering. This amazing flooring option has solid aesthetics that perfectly imitate the most attractive flooring choices while leaving the disadvantages of those other options in the dust. For example, a wood floor in a bathroom or a kitchen comes with a lot of risk due to water and humidity damage. A luxury vinyl plank floor, on the other hand, looks exactly like the wood floor you want but is built to withstand this wet environment. LVP flooring doesn’t stop impressing at its looks and water resistance either. This is a floor covering that absorbs impacts, scuffs, and scrapes while remaining extremely easy to clean with just a wet cloth. If you are a home with children and pets, you will finally be able to rest easy knowing your floor will continue to look great years into the future when you choose this durable covering. The only way to get the optimal performance from your new LVP floor, however, is to ensure that it is correctly installed by a trained and licensed professional. With our help, you are able to receive the luxury vinyl plank installation necessary to keep your new floor looking and working the right way. Don’t leave your flooring investment in the hands of amateurs when you can ultimately save more time, money, and frustration by working with a professional installer. 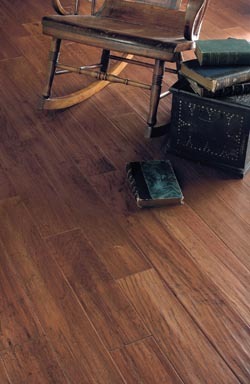 Contact us when you are looking for vinyl flooring that can mimic the look, texture, and feel of real wood. Our LVP flooring products and services are available to customers located throughout the Tacoma, Washington, area.